The games themselves are undeniably some of the best Sega games ever created: Sonic the Hedgehog, Phantasy Star II, Comix Zone, Kid Chameleon, and Altered Beast. The games are free, but here's the rub: they exist in an ad-supported format. If you want them to play ad-free, that's going to cost you $1.99 per game. With future releases promised that cover not just the Genesis (aka Mega Drive), but also every Sega system, the potential is limitless. Now for my editorial. This is designed to appeal to a very specific audience, and I recognize that I am not that audience. I have a Sega Genesis connected to a CRT TV at all times, and would much rather play games on a television with a decent screen size instead of on my iPhone. However, I realize that I am not the target for Sega Forever. Retro gaming has become huge, with the Nintendo Classic creating such a craze (manufactured scarcity notwithstanding) that it became a mainstream topic of discussion. Retro gaming has literally never been hotter than it is right now. This may be the pinnacle. Sega Forever seems at least partially designed to recapture the fans who once played these games but have long since buried their game collection somewhere in the basement. For almost no investment, anyone can be playing these games on their phone in a matter of seconds. I see no reason that this initiative can't or won't be HUGE. Sega's legacy in video games is strong; they were the biggest competitor to Nintendo for years and years. Remember their slogan "Sega does what Nintendon't?" Sega was a mighty giant in the field of video games, but slowly faded from the public eye after the demise of the Dreamcast. The brand recognition for this should be through the roof. Even if you choose to buy each game for two dollars in order to get rid of the ads, you're still getting an incredible value for your money. 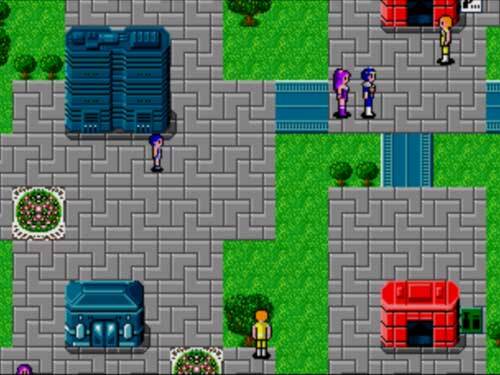 These games hold up like gangbusters, and are as playable today as they were 25 years ago. Sega has also teased that--if successful--they could expand the service beyond iOS and Android and offer the games on modern platforms like PC, PS4, Xbox One, and even the Nintendo Switch. Sega also has an ulterior motive with this, which is to see which games people are most interested in so that they can make future games based on consumer interest. That's smart business, if you ask me. I downloaded some of the games (I didn't download all five) to see how they translated to my iPhone. As I've already stated, this is not my preferred way of playing these games. The screen size is detrimental to the experience when you have both of your thumbs permanently planted on your touch screen, and the lack of actual buttons definitely holds the games back, but for most people (read: people younger or less grumpy than myself), it's probably not going to be an issue. Control is definitely sacrificed by losing an actual interface in favor of the touch screen, but again, I imagine that the casual audience for these games won't be too upset. Sega says that these games support controllers (as in aftermarket video game controllers for phones), but I imagine most people will use the default touch controls. The games themselves LOOK wonderful on the device and the sound is good, too. Some games are straight ports, and others have been emulated but still look great. Leaderboards have been added, as well as a cloud save feature, which is real bonus. The ad-supported model is understandable, but man, there's a LOT of ads during the gameplay. Just getting started requires you to wade through at least one streaming video ad that you can't immediately turn off, and then you're going to see a lot more as you navigate your way through the menu. The low price of $1.99 is incredibly appealing, allowing the player to turn them all off and go straight to the game. It's smart marketing on Sega's part because these games offer hours of play, and two bucks is a small enough amount to make that impulse buy much easier. You could buy all five of the launch games and still only be out ten dollars, which is roughly what just one of these games would go for in cartridge form on the retro market. The idea that one could build an entire Sega library for $1.99 each--and that the library would be in your pocket--is pretty appealing. I wish Sega the best of luck with this. I'm a big believer in retro gaming and I'm happy that now more people will have access to some of the greatest video games ever created. While I recognize that this isn't necessarily for me, I see that the massive mainstream potential, and I hope this is just the beginning of Sega's resurgence back into the limelight. Games that try to simulate controller buttons and d-pads on a touch screen just never seem to control too well for me. 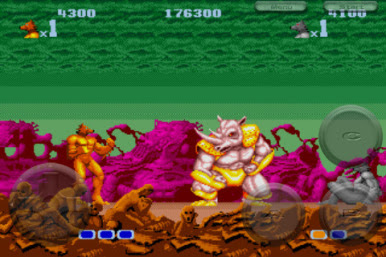 Altered Beast probably doesn't require too much fidelity in the controls but I can't see playing Sonic on an iPhone and I've never seen anyone carry around a controller for their phone. It's a shame publishers can't find an easy way to offer up their back catalogs for purchase especially given how easy it is these days for people to pirate those games and play them on emulators. 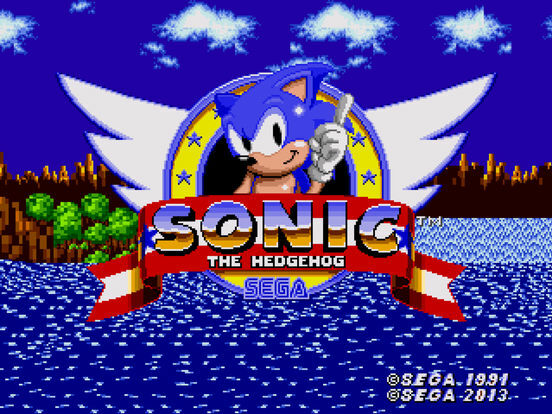 I played a little bit of Sonic on my phone and it was...okay. Looked and sounded exactly like it should, but there's only so much you can do with a touch screen. I missed plenty of rings that I've never missed before because my fat fingers couldn't turn Sonic around in time on the tiny little screen button. I think as far as exposure and general appeal, these apps are probably going to reach the most people. For fidelity and people who want the best play experience, though, I think these games belong in the e-shops of consoles. Thankfully, that seems to be the plan, which would offer both parties the experience that suits them best. For people who are completely connected to their phones, they have the apps. For people who want a console experience, there should be that, too. At least, I hope that's what happens. I'm still waiting on the Boomerang streaming network to launch the service for Roku as promised. I don't watch TV shows on my phone.